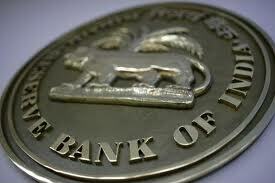 SLR refers to the amount that the banks require to maintain in the form of cash, or gold or govt. approved securities(bonds and shares) before providing credit to the customers. The maximum limit of SLR is 40% and minimum limit of SLR is 23%.In India, RBI determines the percentage of Statutory Liquidity Ratio. If any Indian Bank fails to maintain the required level of Statutory Liquidity Ratio, then it becomes liable to pay penalty to RBI. Basel III is a global regulatory standard on bank capital adequacy, market liquidity risk and stress testing agreed upon by the members of the Basel Committee on Banking Supervision in 2010-11. Basel III strengthens bank capital requirements and introduces new regulatory requirements on bank liquidity and bank leverage. It is the third installment of the Basel Accords ( after Basel I and Basel II), and was developed in response to the deficiencies in financial regulation revealed by the 2008 financial crisis.